Bitcoin mining is a big business and one of the most lucrative subsections within the crypto market. Miners are the engine of the crypto space and the majority come from China. The nation according to Princeton University and Florida International University researchers hold 74% of miners in the world. With Chinese company Bitmain also mining half of the worlds Bitcoin, it would seem that the middle kingdom holds the hash rate and the power in the mining world. Yet with this bear market, the life for miners in China has not been as profitable. 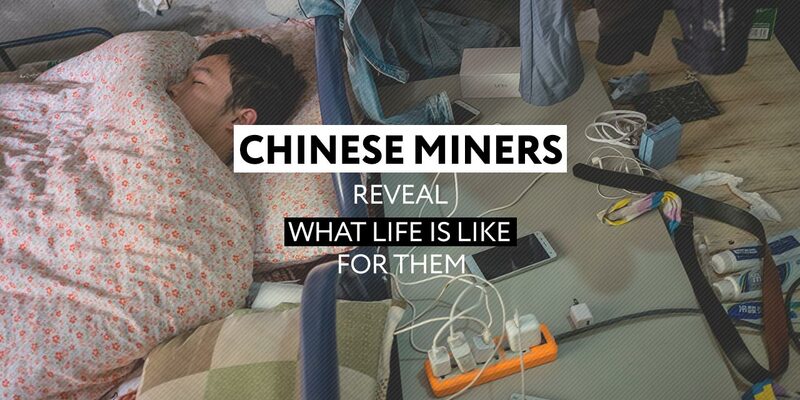 To gain a greater insight into the mindset and issues facing Chinese miners, Chain News did an interesting interview with various industry insiders and it revealed some interesting revelations on a range of mining topics. Asia Crypto Today reported extensively on the various methods taken by miners, from moving to Iran as well as the hope for the Sichuan wet season. Xiayoi also revealed that some miners go directly to the power plants directly and go through an intermediary process to obtain the power or try the electricity companies directly. Curiously, unlike most industries the unified body that connects all workers involved. The fact that those in circle are so un keen to share information and advice to their fellow colleagues makes life harder, certainly in terms of protecting against fraudsters. Not only that, the lack of communication and insight also makes life harder for newcomers due to the lack of information available. Xiayo highlighted the lack of peer to peer interaction as a major pitfall within the industry, so decided to found the Mines College, a community that train qualified mining investors in the form of courses and accumulate preliminary resources for entering the industry to avoid stepping on pitfalls, with a further goal of helping establish industry standards and norms. Perhaps this insight says it all. Patience is a virtue and has to be owned if you are to succeed as a miner entering the business. Ultimately, the mining business is not a stable one and can fluctuate depending on market valuation, the weather, power supply and regulations. The life of a miner is tough but sucess can be paved in gold.